This is a repost, originally written in 2015. Small edits have been made, and some new (old) images added. A sketch of Krakatoa, shortly before the start of the eruption in May of 1883. It is one of the most famous volcanic eruptions in history. The loudest explosions ever recorded, dust spreading worldwide affecting sunsets for years, and it occured in a densely populated region, with many passing ships with captains adept at making scientific observations. It wreaked devastation. In spite of this, it was not an exceptionally large eruption. As a VEI6, there were larger ones, even in the 19th century, and in the 20th century Pinatubo came close. But Krakatau is more famous than any of these eruptions. The uninhabited island of Krakatau is (or rather, was) located in the Sunda Straits, between the large islands of Java and Sumatra. Even in 1883 this was a busy shipping lane, and the onset of the eruption was well observed. But the island was not seen as a threat. Apart from a fairly minor volcanic eruption in the 17th century, there was little sign of active volcanism. The location is interesting, between the major island of Java and Sumatra. The main volcanoes in Indonesia lie along a line traced by these islands. Krakatau is at the place where this line makes a sharp bend. Krakatau island was roughly 15 km2 in size, and had three, comparatively small, volcanoes. The tallest one was Rataka, on the southern end. The two lower cones were Danan and Perwoebatan. The word ‘Rakata’ means ‘crab’ in the old Javanese language, and this became ‘Krakatau’ in Dutch or Krakatao’ in Portugese (in English ‘Krakatoa is often used). This name became attached to the entire island. Two other islands, Verlaten island (‘deserted island’) and Long Island formed an arc, with Danan at the centre. Rataka also fell on this arc. The arc around Danan was the remnant of a crater or caldera, 14km across, with Danan the central volcano. A large eruption would have been needed to form such a caldera. There are ancient stories about a massive eruption around AD 416 causing the opening of the Sunda straits but these seem mythological. A large eruption has been suggested to have occured in AD 535, to explain the decadal cooling at this time, but again there is a complete lack of evidence. Ash deposits in the Sunda straits indicate that no eruption larger than the 1883 one has taken place for many thousands of years. The caldera shows that a large event happened at some time, but it has not been in historical times. Smaller eruptions did happen on Krakatau. An eruption took place from May 1680 to November 1681, probably from Perwoebatan, although one report states that activity occured at four different locations on the island. The eruption destroyed the forest on Krakatau. However, the eruption was not a large one. Afterwards the island remained quiet for 200 years. The forest regrew and became almost impenetrable. One landing party reported a hot spring, a reminder of the fire below. A lack of fresh water meant that, although people visited and occasionally settled, it did not become permanently inhabited. By 1880, no-one lived there. In 1880, Krakatau came back to life. Frequent and strong earthquakes began to occur, one of which severely damaged a light house on Java. The first eruption occured on Sunday, May 20, 1883. Explosions were heard in Jakarta (named Batavia at the time), 150 kilometers away. Ash began to fall the next day, as far away as 500 kilometers. Over the next few days, ships in the area reported a column of ash, 11km high. The eruption continued, but not as violent as the initial eruption. On May 27th a landing noted that the explosive activity came from a 50-meter wide cavity within Perwoebatan, located within a 1km crater. Older lava flows suggested this was the same location as the 1680-81 eruption. A photograph of the eruption was taken, coloured in by an eye witness. This is the most famous picture of Krakatau. The eruption weakened over the next month, but on June 24th a second column was seen to rise from the centre of the island. By this time the summit of Perwoebatan had disappeared, presumed destroyed in the explosions. The two ash columns existed throughout July but the activity was not seen as exceptional — for Indonesia! A group from Batavia (Jakarta) even organised a picnic trip to Krakatoa to watch the eruption! A landing party on Aug 11 found that large columns were now rising from three separate locations: Perwoebatan, Danan, and a site north of Danan, near the base of the cone. Lesser activity was seen at no fewer than 11 locations, all from the northern half of the original island, some only meters above sea level. This is the last detailed report prior to the great explosions. The island was now off-limits and not even the local geologist wanted to attempt landings. Over the next days ash fall was seen up to 80 kilometers away, with reports of loud explosions: the eruption probably intensified during this time. The critical phase began on the afternoon of Sunday, Aug 26, leading to a terrible night and morning. Up to Aug 25, the eruption of Krakatau was not a major one. The largest event had been the initial explosion, May 20th 1883. The long continuation, and the presence of multiple eruption sites, was similar to the 1680 event. Magma had traveled from a deep chamber (estimated at 30 kilometers deep) to a shallow reservoir around 9 km below the surface. This magma migration could have caused the earthquakes which began three years earlier. The pathway from the reservoir to the surface used a rift or dyke, with multiple exit sites. But now the eruption changed, and became unique. Reports on the events of Aug 26 and 27 are patchy, and the full story was only pieced together over the next few years. People on the coast were too busy surviving, and ships in the Sunda Strait were in complete darkness. The main events are clear, though. This post is based heavily on the description in a report from the Royal Society, dated 1888 (see reading list below). The eruption rapidly intensified during August 25 and 26. By 1pm on Sunday, Aug 26th, the explosions were heard in Batavia, 150km away. By 2pm, a ship 100km away reported a black mass rising to to a height of 25 kilometer. By this time explosions occured every 10 minutes. By 3pm the explosions were heard 250 km away and by 5pm, all over Java. The explosions were not accompanied by earthquakes. The nearest ship, 10 miles from Krakatau, reported that the explosions came from the northeast of the island. Between 5pm and 6pm, a rain of large pieces of warm pumice began to fall on the ship. On the shore, waves from the eruption began to arrive from 5:30pm. They were at first just feet high, but continued through the night. Sleep became impossible that night in the main cities of Batavia and Buitenzorg. The explosions were loud and frequent, rattled windows and cracked buildings, in spite of the great distance from Krakatau. During the night, ships in the Sunda Strait battled a hot stormy wind, carrying a sulphurous smell. Cinders fell, and the sea was warm to the bottom, 50 meters down. From midnight to 4am, explosions were continuous and one second, the sky was intensely black, the next a blaze of light. The roar grew less only towards morning. By that time many places on the Sunda Strait coast had already been devastated, but even worse was to come. Around 5am, the first of the large explosions must have happened. But in the blackness and deafening roar, this did not seem to have been noticed. In the morning, the ash column was seen to have reached a height of 30 km. As it spread, blackness followed and ships had to take anchor. The clouds reached Java and Sumatra around 10:30am. Batavia was in complete darkness from 11am to 3pm, while a rain of dust fell. The dust contained some 10% water. In the Strait, falling pumice the size of pumpkins was reported. This continued during the morning; later the dust became falling mud. The darkness precluded observations of Krakatau during the 27th and the exact sequence of events there is not known. The explosions reached their peak during the morning, ending after 11am. After a quieter afternoon, there was another set of smaller explosions during the following night. Activity finally ceased at 2:30am on the 28th. The next day, the Sunda Strait was almost impassable due to the mass of floating pumice and other debris. And although Krakatau’s peak was still there, the rest of the island had gone. Together, the confused reports indicate four distinct major eruptions. Air pressure measurements of the shock waves at Batavia provide their times. Large explosions occured at 5:07pm on the 26th, 5:30am, 6:44am, and 10:02am on the 27th, and a smaller one at 10:52 (all local time). The fourth was by far the largest and loudest. There may have further strong explosions at 4:30am and 9am. The 10:02 explosion has an estimated energy equivalent to 150 megatons TNT – comparable to a M8.6 earthquake, and three times larger than all the other explosions combined. The dust and ash reached very high altitudes. The ash columns were reported at 30 km high, but that was before the 10am explosion. Estimates for that explosion give values up to 50 km. The sound of the 10:02 explosion was reported as far away as Diego Garcia, 3600 km distant, and possibly Rodriguez at 5000 km(! ), four hours later. They sounded like distant cannons and in many places were thought to come from ships in distress. The map below shows where the sound was heard. It seems strange that the later explosions were not heard closer to Krakatau (such as Batavia), but were heard at very distant locations. Many people would have been stone deaf by now. But the ash in the atmosphere also dampened the sound, in the same way that falling snow brings silence. But sound could still travel over the top of the ash layers, at high altitude. Far away these waves curved back to the ground, causing the sound to be heard there. Over short distances sound weakens with the square of the distance, quickly rendering distant noise inaudible. But over much larger distances, the sound travels horizontally (the lack of atmosphere above 10km altitude stops it carrying much energy further up), and now the sound only decays linearly with distance. It weakens much slower, and this is why sound could be carried over such large distances. The pressure wave from the explosion traveled much further, and circled the world several times. This was detected by barometers everywhere and lasted for five days. But this wave should not confused with the sound: it is not audible. The sound ‘only’ traveled 5000 km. Pyroclastic flows were not known at the time. But some of the descriptions show that they happened. They may have come directly from the explosions, driving material laterally outwards, or from the collapse of the columns of ash. People received burn wounds on various ships in the Sunda Strait. At Ketimbang, Sumatra, 40km away, as many as 1000 people were killed by a ‘rain of hot ash’. One family survived inside a hut, and describe how the hot ash was pushed through the cracks and floorboards, and the air was sucked out. This was clearly a pyroclastic flow coming over the sea. Ships 80 km away experienced hot winds but escaped burning. Thus, the pyroclastic flows became survivable only between 40km and 80km from their origin. How can pyroclastic flows travel such large distance over water, and still remain so hot? Pyroclastic flows have temperatures up to 600°C, are denser than air, but have density comparable to sea water. This allows them to travel along the sea surface and reach large distances. Much of the sub-sea deposits around Krakatau have been shown to come from pyroclastic flows. The pressure of the flows can also push up the sea – causing tsunamis. In this way, Tambora, exploding well in-land, caused a tsunami. Waves from the eruption began to reach the town of Anjer, to the east of Krakatau, from 5:30pm on the 26th, at first only a few feet high. Around 7pm, houses on the coast were damaged both on Java and Sumatra, and a camp of labourers was washed away. The waves continued irregularly through the night, at first not at damaging heights. But at 1:30pm two towns were submerged, and Anjer was destroyed at 6:30am and again submerged at 7:30am. After 10am, a much larger wave completed the destruction and affected the entire coast along the Sunda Strait. However, there are few eye witness reports on this wave. By this time the Sunda Strait was in darkness. At Anjer, noone was left on shore to see the large wave. Few had survived the two earlier waves, and those survivors had fled to the hills. This must have been the case at many locations along the coast. The steamship Berouw was carried 2.5 km inland by a tsunami killing all 28 members of the crew. The 6:30 wave at Anjer was 10 meters high. The height of the later wave is not known. Damage to buildings along the coast was seen up to 15 meters above sea level, but at one location at the head of a bay, to 38 meters. A men-of-war ship, called Berouw, was carried 2.5 km inland, left 10 meters above sea level. The earlier waves were local, causing destruction in one place but not in another not far away. The big wave traveled in all directions and caused devastation everywhere along Sunda Strait. But little damage was done outside of the Strait. At Batavia, the earlier waves were recorded by a tide gauge at 5-10 cm, but the big wave was a wall of water, and the height was 2.5 meters. This shows how much larger this event was. The large wave started as a rise. This indicates that the tsunami was not caused by a sub-sea collapse, but by water being pushed up. The height of the wave rapidly diminished beyond the Sunda Strait. Still, the waves reached all over the Indian ocean, with a measurable wave even at Honolulu. Reported waves at Cardiff and New Zealand, attributed to Krakatau, probably were not related and had a local origin. The cause of the tsunamis is still debated. Four explanations have been proposed: the collapse of the caldera, atmospheric shock waves from the explosions pushing up the water, pyroclastic flows from the explosions pushing the water out, and the fall-back of a cubic kilometre of ejecta into the sea. The second and third one seem most likely. They explain why the times of the tsunamis agree with the explosions (especially for the big explosion at 10am), and why the wave started with a rise. However, for the other waves the other explanations may also have contributed. There was no volcanic activity seen after Aug. 28th. Reports of steam can be explained by the hot deposits, and an explosion on Oct. 10 may have been due to rock fall from the unstable slopes. After the eruptions had ended, only the southern third of Krakatau, including half of Rakata, remained. Rataka now showed a vertical cliff to the north, from the peak of the mountain. The peak had increased in height by 40 meters, probably due to the blanket of ejecta. The rest of Krakatau had disappeared. Verlaten Island and Long island had grown considerably. At a distance of 15 kilometers, in all directions, the sea had become less deep by 3 to 15 meters. The channel to the north had become completely blocked, and some new islands had formed (which were quickly destroyed by the sea). But around the centre of the eruption, over several kilometers, the depth of the sea had increased. This is the 1883 caldera. Over time, the sea claimed back the new islands leaving only the Rataka remnant. But eventually, in 1927, new volcanic activity was seen, from a location midway between Danan and Perwoebatan, at the edge of the 1883 caldera. This volcano, Anak Krakatau, has been above sea level since 1930 and is still growing with frequent eruptions. Krakatau is not finished with us yet. The Krakatau eruption was not extraordinary, and behaved very much like the the 1680 eruption, up to mid-August. But the enormous explosions set the event apart. Was this caused by interaction with sea water? If so, why not in 1680? Or did something else occur? The ejecta did contain some water, but the volcanic deposits do not show alteration by magma-water interaction. Sea water rushing into the magma chamber cannot have been the direct cause of the explosions. A strong hint comes from seismological maps of the shallow magma chamber, 9km deep. They show a double chamber, separated along an east-west line, a few kilometers apart. The two chambers are on either side of the 1883 caldera. Shouldn’t there have been a chamber underneath Danan, the centre of the 1883 caldera? Perhaps there was. The best explanation for the events of August 1883 is that the roof over the centre of the 1500-meter deep magma chamber collapsed. The collapse pushed the remaining magma into the two magma pockets on either side, and upward. The collapse caused chaos near the surface. The different explosions can have been caused by the collapse of different parts of the island. The 5:30am explosion may have been related to Perwoebatan collapsing, the later ones to Danan. The fact that mud falls were not reported until after 10am suggests that the explosions happened above sea level: submarine explosions did not happen until the end. The death toll was officially 36417. It included the entire population of nearby Sebesi island where there were no survivors, hit by pyroclastic flows and tsunamis. The death toll is the second largest reported from an eruption in historical time, after Tambora. The majority of the casualties came from the tsunamis. Still, Krakatau was a large but not exceptionally large eruption. The total ejecta are estimated at between 15 and 25 cubic kilometer. Tambora ejected in excess of 50 km3, Pinatubo around 10km3, and the Novarupta eruption (1912) and Laki (1783) both around 15 km3. The Taupo eruption in New Zealand, AD 180, erupted some 120 km3. So Krakatau was large, but there have been comparable and larger eruptions in historical times. The island was not recognized as a dangerous volcano, even when erupting in May to August 1883. If the cause of the calamity that followed is the collapse of a deep magma chamber, this could happen at any volcano, whether in the sea and on land. The conclusion is that what makes a volcano dangerous is not primarily the eruptive history. Its location, including how many people live within 100 km, and the size and stability of the magma chamber are important. Krakatau is much more than gripping history. It is a warning from the past. http://blogs.scientificamerican.com/history-of-geology/2011/08/27/august-27-1883-krakatoa/ Reports from ships in the Strait. Thanks for the article. I learned more about the eruption than I had from previous video and accounts. Bali is getting ready for an eruption of Mount Agung, they are in good hands there with the guys in Indonesia being on the ball,, some of the population have already evacuated and others are to follow.within the next 24 hrs. A few quakes around Oraefajokull. A strange year for Atlantic tropical storms. Tropical storm Lee has been resurrected after I thought it had dissipated, and it is now forecast to do anything between immediate re-disappearing to becoming a major hurricane, moving either east or west. NOAO in exasperation states “typically reliable models differ by more than 900 miles at day 5.” Weather is intrinsically chaotic and accuracy of forecasting diminishes into the future, but this is a particularly bad case. It is the traditional example of a butterfly flapping its wings and changing the weather for tomorrow. Although seeing where Lee is, more likely a flying fish than flying butter. Forecasting weather is a lot more complicated than forecasting climate. An apparently natural earthquake next to North Korea’s nuclear test zone. Lot of discussion whether it was North Korea at work (Extending their test zone? Accident? ), or tunnel collapse, but it is perhaps not so strange to have an aftershock from their big explosion. You may argue whether it is a good idea to put your nuclear test site in an earthquake zone. It will be interesting to see the final verdict on this one. Mount Agung, tremor/magma still 5km down as tens of thousands are evakuated. What I like about this, is that the dog notices a noise below the floor, then her head tracks towards the sound and when it starts, she flees. It would be interesting to have more data on Mt Agung. But I am unsure if we can access some public data, regarding tremor or even local seismicity. This volcano interests me a lot, as it is a perfect candidate for the next VEI6 or VEI7 (an Indonesia volcano, hasn´t gone caldera yet and shows a very tall mountain already, and the progression towards large eruptions shows evidence for a large chamber ripe for a caldera event). Not like Krakatoa, which was located right at sea level and having previous caldera events, but Agung is quite like Tambora prior to 1816. A very tall mountain located by the coast. The big difference is that Bali is far more densely populated than the location of either Krakatoa or Tambora. Some information I read seemed to indicate that it actually has gone caldera in the distant past, but the caldera rim is completely buried beneath the reformed volcano. Possibly. I counted at least four major calderas in the area, from left to right Ijen, Batur, Rinjani, Tambora. The Ijen one (extending from current Lake Ijen to Raung) looks to be the largest on the maps. Two of these are from the last 1000 years, and two are pleistocene. And that age difference is implausible. The two old ones survived because their host volcanoes became extinct, and activity moved to a slightly different place. The two young ones have had no major eruption since the caldera event, and so the calderas are still visible. The large difference in age means that calderas in general don’t survive for very long here: a new volcano grows up in the centre. For Agung, an inflation rate was recently measured from INSAR: between 2007 and 2009 the mountain rose by 8 cm. There is a steady magma supply, but no open conduit in spite of the 1963 eruption. The current episode may still turn out to be a failed eruption, but at some point this mountain will erupt. Irpsit wrote about 6 months ago that he thought Agung was the most likely volcano to have the next VEI7 in Indonesia. Mt Batur next door, very near, is a caldera. I suspect that they may be part of the same volcanic complex. I’m not so sure. It doesn’t seem close enough to be a somma peak of Batur. It depends if the petrology is similar and I’ve yet to get through those studies in detail. The other likely candidate is Sinabung. Tambora and Krakatoa had few eruptions prior to their big ones. Sinabung has a similar pattern and is also a tall mountain. Agung had two vei5 in the past centuries. It seems to follow that pattern too. Merapi and Semeru, other possibilities, seem to erupt too often. Semeru might be the next caldera following the Tengger caldera. There might be other candidates that I am not aware of. Agung definitely is showing signs of being a future caldera eruptor in a geologically near future. Of course, that may still mean hundreds of years, but its definitely a high potential volcano. I think Sinabung is still too young to see a caldera eruption in the near geological future. The overall size of the mountain still is not all that large at this point, and it probably has not established a large enough magmatic system for a caldera eruption any time soon. As far as next Indonesian VEI-7, there are just so many volcanoes it’s really tough to say. In somewhat more recent geological time, it seems that the Java volcanoes have been much more active. I’ve asked around on the net, and it seems the stations there aren’t connected to the internet and this is the furthest I’ve come. Vanatu has had an eruption 70% of the population evacuated. Good article. Thank you! You might want to adjust the age bracket for Tambora’s big bang…! Terrific summary, cbus. Thank you for the time to assemble all these important tidbits of info. Much better informed now that I’ve read your post! That was nice of you, thanks! The two red arrows in the middle are strongest wherever the ITCZ is at. 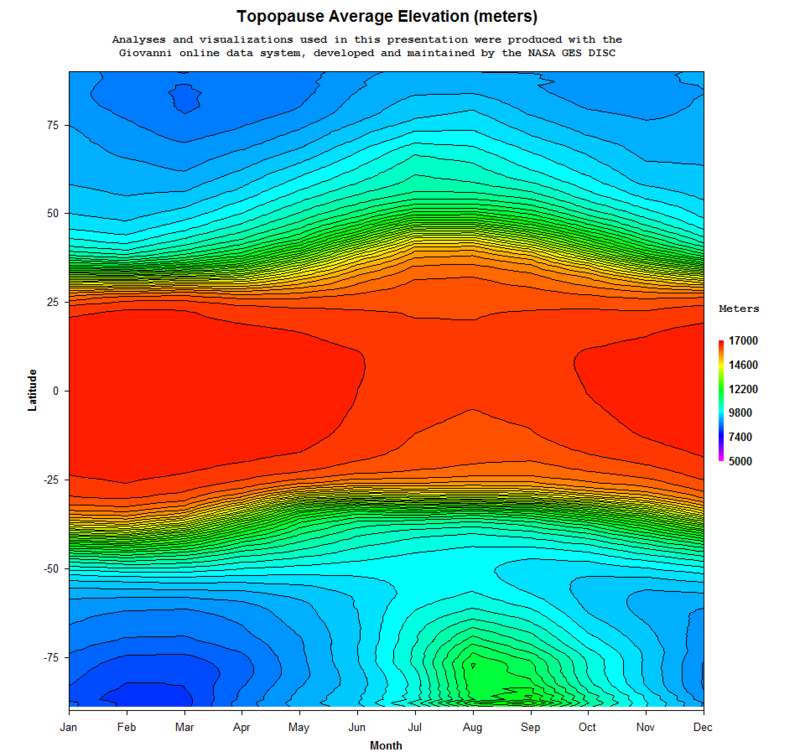 … and the average tropopause elevation depending on the month. So, an Agung eruptio could give us in the north q cold winter? No. A sulphur cloud reduces the amount of sunlight. Our winter temperatures have little to do with sunlight as in the north we have almost none in winter anyway. Reducing almost nothing by a few per cent does not change our winters. Our winter warmth comes mainly from the oceans. Instead, the main effect is in the summer. A volcanic winter means snow in June. Although it is very unlikely that Agung would now have a big enough eruption for this. Bottom line: cold winters cannot be blamed on volcanoes. Cold summers can. CO2, on the other hand, does warm both summer and winter because it insulates, so it keeps the warmth in. It doesn’t matter whether that warmth comes from the sun or the oceans. A year without summer? In England, we call that ‘A year’. I’d think that alteration of high pressure/low pressure cells, even many 1,000’s of miles away could have weather impacts in the far north. It’s not just changes in local insolar heating that dictates whether a season is “colder” or “warmer” than normal. A good theoretical example would be a change in the Polar Vortex as a result of a persistent blocking pattern (or absence thereof) almost anywhere in the mid-upper latitudes. Last year here in California, due in large part to an early snowfall and cold wave in Siberia, we saw a persistent/Winterlong H.P. set up over the NW Bering Sea which contributed to a stronger than usual W-E Pacific jet stream that brought us record precip as well as above normal temps. ….even though we were thousands of miles away from the localized cooling going on in Siberia. So, let’s assume a scenario where a sudden cooling of the upper atmosphere occurs in a belt around the tropics. The resultant cooling aloft in turn leads to increased subsidence and alteration of Hadley flows..which in turn can have significant impacts on where storminess and jet streams set up, possibly across the entire hemisphere. The potential is there, not the certainty. If Agung does loft a load of SO2 into the stratosphere, it will take about 2 months for that to fully convert to sulfate… and about 50 months to sediment out to pre-eruption levels if it happens. It’s also just as possible for this to emplace a quantity of magma and go back to sleep. Time will tell. My only point is that this volcano can be sulfur intense. My “gut feel” for this is that if it does go pop in a big way, it won’t necessarily be the winter that is cold, but the follow on summer that is not as hot as usual. I’ve got a plot around here somewhere that looks at sulfate sedimentation rates vs winter or summer conditions, but I don’t think it is that important to dig it up right now. The more pressing issue is that there is a volcano that has the potential to erupt soon. I went and looked at http://www.lightningmaps.org/blitzortung/oceania/index.php?lang=en to see if there was lightning activity near the edifice. (not yet) Mainly since that would probably be one of our first indications that it went off. Seismic Drum plots available for the general public have yet to be found. Side note: Sinabung is also under alert level IV. First, I’d like to tell you that I’m a long time reader of this forum and volcanoholic from Germany, I have been following your discussions and insights for many years. I have learnt so much about volcanoes, thanks so much for this! I am following the development of Agung closely because I have been visiting Bali and the area many times. I have a lot of friends on the Gili Islands (Trawangan, Air, Meno). These small islands are situated off the North-Western coast of Bali’s neighboring island Lombok, at a distance of approx. 40-50 km from Agung. I know it is impossible to predict Agung’s behavior, and most likely, this will not be a huge caldera-forming event, but do you think, theoretically, that pyroclastic flows from Agung could trigger tsunamis that are capable of reaching these islands? Ash1256 – Due to Agung being away from the ocean the risk of a Tsunamis is very low. It would require a sizeable flank collapse or caldera collapse and thankfully these are rare to very very rare, respectively. A flank collapse would also need to be ‘firing’ in the right direction as the tsunamis would be generated from the pyroclastic flow/surge. Not quite. Tambora caused a tsunami when pyroclastic flows reached the sea, in spite of it being further from the sea than Agung. If that happens in Agung directed southeast, it could also cause a tsunami. It is not a high chance. The Indonesia volcano scientists are very good and they will have taken this into account when limiting evacuations to the slope of the volcano. Tsunamis caused by pyroclastic flows reaching the ocean are a real thing. With that said, this would require a very large eruption for this to occur, likely in the range of a VEI-7, which is not likely. I won’t discount this as a complete impossibility, but VEI-7 eruptions are never a likely scenario for any given volcano. This is the interesting bit. According to Bali religion, the entire island must dedicate a purification ceremony every 100 years, according to dates written in ancient texts. There was a ceremony due to February 1963, and as the Balinese people prepared the mass ritual, back then, the volcano started to erupt. This was an impressive coincidence and people took it as a sign of the Gods, that they were angry indeed. Curiously, world leaders attended the ceremony at same time as the VEI5 eruption unfolded, right by its slopes. That must have been a scary sight! I visited the famous temple right by the slopes of Agung. It would be a shame that an eruption would destroy as it is very beautiful. Guess that the Gods are angry again! However the next ceremony isn´t due until late in century! Like Ash, i to like reading your knowledge, thoughts and discussions. I love volcanos (Sorry, can’t quite find the right noun… infatuation? ) goes for all Forces of Nature, really. Just not the ppl dying part. Dont know if it will be of any use to ppl on volcanocafe – the graphics dosen’t always make sense to me. Sorry for this kindergarten-level input. Welcome aboard. While English is the prefered language here, we aren’t judgemental grammar twits. Even I hose it up though I’m a native speaker (US version). PVMBG mentions a 200m high steam/gas plume above the crater of Agung in their newest report. Shallow VT earthquakes are still increasing. According to another source, magma has risen to 1-2km depth, up from 5km a few day ago. That puts it slightly above the thought location of the upper magma chamber. Personally, I consider the possibility of a failed eruption to be fairly small by now….I think we will have some form of eruption (as in: magma reaching the surface.). It’s certainly rising – but ominously the deep earthquakes aren’t letting up; more is on the way up. This eruption has been building for at least a decade, from the high inflation rates around 2007. In this region of Indonesia, there tend to be magma chambers only around 5 kilometer deep. (So volcanoes more than some 10 kilometers apart should have separate feeding chambers.) Now may be the first time in that period that the magma managed to move up higher than that. I would expect a dome-building eruption, not so explosive, because the last eruption was only 50 years ago and because Agung appears to do summit eruptions rather than flank collapses. But who knows. Predictions are best left to speculators. Note that the shallow quakes for the past 4 days have been multiplying by around 1.5 each day. That’s exponential growth. It suggests a failure in the overburden is imminent. I think for a lot of volcanoes, the 50 year repose phase would indicate that it may need to rebuild, but the 1963 eruption does not appear to have damaged the magma storage system like St. Helens, and considering that it’s already set to erupt again, it has likely recharged in that short time period. If I were a betting man, I would not assume it would be as large as the 1963 eruption, but I think more than other volcanoes in similar situations, Agung has the potential to do a repeat VEI-5 in a short time span. I always like to consider the Crater Lake scenario, where the pre-caldera volcano erupted a VEI-6 less than 200 years before erupting it’s enormous VEI-7 caldera forming eruption. In another scenario, I know Carl likes to consider Grimsvotn’s progressively larger eruptions that have come with similar or even shorter time intervals between eruptions as a sign of an expanding upper magma chamber. Personally, I would guess that the upper magma storage area is likely large enough to form an eruption in the VEI-6 range at the very minimum. But the question then becomes how much of that magma is primed or in an eruptible state? Also, is the over-pressure high enough, or are the conduits above rather weak, such that only a small amount of overpressure will cause a weak eruption? Considering the amount of magma input into the system has been enough to trigger two separate VEI-5 eruptions since 1840 and a current reactivation of the system only 40 years later, you wonder how much mixing and reactivation has occurred via fresh basalt injection into the upper chamber. There is a possibility that the constant injection of new hot magma and subsequent mixing has led to even more eruptible magma than in the first two VEI-5 eruptions. Beyond that, there of course are other variables such as structural changes that could affect eruption size (most of which would make the eruption larger). Agung is a real wild card, I think that’s all you can really say. Two years back when Cotopaxi was starting to reawaken, a lot of people assumed it would do a VEI-4 based on its past history, but it only emitted weak ashfall with no actual harm done. Volcanoes are fickle. Volcanoes are unpredictable to a certain degree, but at same time, they are also predictable to a certain degree and based in some patterns, to some statistical probability. Let´s say Hekla, which since 1947, it was erupting every 10 years or so, with a VEI3. Or Grimsvotn erupting after it reaches a certain seismic cumulative release. Or the fact that the Iceland hotspot is reaching a peak in activity, and therefore we can expect larger eruptions, such as the Holuhraun one. There are predictable trends in volcanoes. On the other side, Katla shows how unpredictable things can be. Or even Hekla in recent years. Hekla has been certainly behaving unpredictable, but Katla, well, we don´t know how she behaves before an eruption, so the behavior of the last years might just be the norm, as we near a full scale eruption. Agung could follow the predictable pattern and erupt in soon with a VEI4-5 eruption following a slow start, or do something different (which can also mean no eruption). In my opinion, Agung will erupt. But I can´t say how intense. Anywhere between VEI4 to VEI7. It’s a bogus calculation, but I’m guessing vei 4.9 or so. Note: My calculation is bogus in that it treated VEI as a numeric value rather than as a label. Each level of VEI is a range of erupted mass values and not a finite number. In other word, “4.9” is not really a valid VEI number. Since I don’t have the actual DRE erupted in past eruptions, a really really rough guess is something pretty close to 5. I thank Cbus for the clue that lead to finding this Singapore website. Good information, links, Citations, and maps. I apologize for ACTUALLY Posting the Hazard Map. I only meant to post the link, since it is huge. I’ve removed it now, I did wonder why the page was taking ages to load! It was causing the site to crash it loaded so slowly lol. It´s nice to see the volcanic arc from Myanmar, Andaman Islands, Sumatra (Toba, Sinabung, etc), Krakatoa (in between Sumatra and Java), Java (Merapi, Bromo-Semeru, etc), Bali (Agung), Lombok (Rinjani), Sumbawa (Tambora) and Flores. As further east one goes, the less studied the volcanoes are, as the areas are more remote. In Myanmar there are also volcanoes, though not listed in the map, and poorly understood. Another two parallel arcs run northwards towards the Philippines: one that starts at Sulawesi, and a parallel arc across the Maluku Islands. Not sure which of these continues towards the Philippines. In the Maluku Islands, there is one volcano, Dukono, which has erupted explosively non-stop for almost 100 years. It seems that another tectonic and volcanic region starts there and also goes eastwards towards Papua. The north edge of the Sunda plate is even less clear, as it runs across Thailand and Laos. The Sunda plate: It´s complicated ! But one of the most exciting places on Earth. _very_ good question. It is normally with respect to the altitude of the seismograph, which is often at or close to sea level. If you have a 2km high edifice and a 2-km deep magma chamber, the magma is probably 4 km below the edifice. If it were at the bottom of the mountain, the magma would leak out around the edges of the mountain..
Based on a diagram from “Geochemistry of volcanic rocks from the Sunda Arc” → Doctoral thesis at Durham University by Dempsey, Scott, Robert (2013), Bali sits on top of a subducted portion of the Australian plate, and in an ancient suture zone. The magma percolating to the top probably picks up a wide variety of minerals from the crust segments that it goes through. In fact, that question is the focus of the thesis. 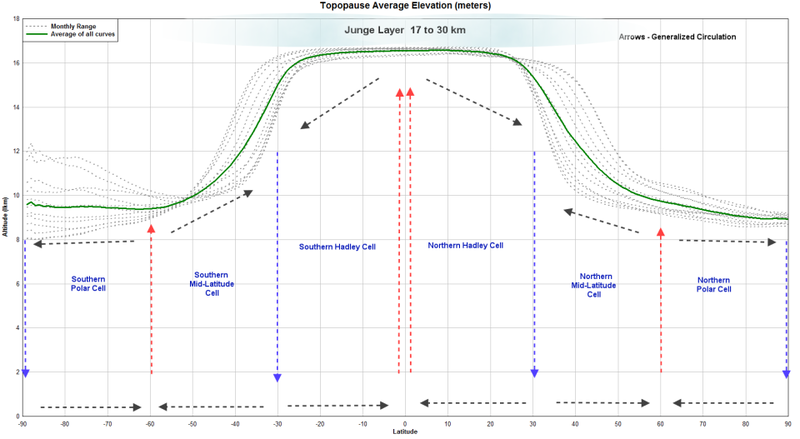 A good read and summary of the tectonic setting along the arc. A good source of information on Twitter about Agung is from Dr Janine Krippner and this is the latest info from the authorities. There is a nice service called Magma Indonesia (google it). You get an interactive map over Indonesia with earthquakes and volcanoes and if you click Mt Agung you get a list of current information, a picture of the mountain (not live, but updated daily) and a graph of the number of quakes per day sorted by category. The trend towards increasing number of shallow quakes is very obvious. That is a nice find. Thank you! It does not like Internet Explorer but good in Chrome. I also see there’s a mag 4 earthquake next to Agung. Besides these, Dukono continues to erupt (it’s a nonstop since decades) and Sinabung keeps in red alert, due on and off eruptions. A few others remain in yellow alert. Interesting. Based on that, there is a possibility that the nearby caldera formed because Agung emptied it’s chamber in a past eruption. Sort of like katmai and noverupta or bardabunga and holuhraun. Wasn’t the petrology of the tephra layers completely different though, both systems are unique and separate? Would accretion of the sedimentary layer be enough to explain this difference? It does appear from the limited quake data that the deep feed is under Batur, but this could be explained by a mutual recharge at the same time. I think Batur and Agung have erupted at the same time in the past. We would need historical data showing the deep feeders of both systems like we’ve done with Katla. Bali isn’t a backwater; a major tourist destination. Has no-one yet unearthed a webcam with some kind of view of Agung? Best estimate of ash-cloud top is around 20429 FT (6384 M) above sea level, may be higher than what can be observed clearly. Source of height data: ground observer. I am sure VONA would have been updated if there wash a suspected ash emission. There was(is?) a wildfire going on on the slopes of the mountain, might be a reference to that, which has been lost in translation. Agung has not erupted yet. But steam column is already visible on its top due to presence of magma very near the surface. Yes volcanoes can steam prior to eruptions. I predict an eruption sometime by the end of the week or weekend. It’s very likely, but the process can also be slow due to thick magma. Not really the best place to be if it goes up. It appears to be in a pyro flow area. Dunno if my tactic applies to all disasters. Even when Irma was threatening, I was reticent at making plans to leave, I even stocked up on ride-out supplies. In retrospect, it’s probably because I was aware of the likely dangers and did not feel quite as threatened. The danger in that is that the thing that gets you is usually the one that you think you know. Prime example: David A. Johnston, a literal expert in volcanoes, was killed by Mt St Helens at a position that by all estimations was a safe observing location. At the time, lateral flank collapses were not well understood phenomena. No one had ever actually seen one in action. And if anyone is interested… there are NO INDICATIONS that anything like this is happening at Agung. At least in anything I have read. In all cases, refer to the latest from PVMBG. Those guys are on top of their game and know what they are doing. Anything you see here is just idle commentary among volcanophiles musing about what may or may not happen. We focus mainly on second guessing data and trying to understand what it might mean. As for my volcano survival method mentioned in the previous comment. It’s half joke, half truism. “Don’t be there” when it does it’s thing. Milling about in a likely pyroclastic flow zone goes directly against it. It didn’t work at Pompeii, and it usually doesn’t work for any volcano. D.A. Johnston was outside this zone and St Helens still found a way to get him. He was also one of the most adamant about keeping the exclusion area closed. Not by his own estimation – or that of several other volcanologists working the volcano. He’s on record as having said it wasn’t a safe location at all. Lousy timing; the day after the eruption the army was due to have delivered an armored vehicle to the observation point for use as an emergency shelter which might have given him a fighting chance at survival. In the Late Holocene, almost 10 % of eruptions are signif-icantly larger than the 1963 AD one and more than 15 % are ofsimilar intensity. From our conservative volume and age esti-mates for each event, we obtain a normalised cumulative vol-ume vs. time evolution for fall-producing eruptions (Fig. 11),suggesting that Agung experienced a ~10-fold increase inmagma eruptive rates between ~3.2 and 2.0 ka. Rates beforeand after this time interval averaged ~0.2–0.3 km3/ky (denserock equivalent, DRE). During the ~3.2–2.0 ka interval, theyaveraged ~2 km3/ky. The most recent period of activity atAgung seems to be characterised by similarly high eruptiverates. 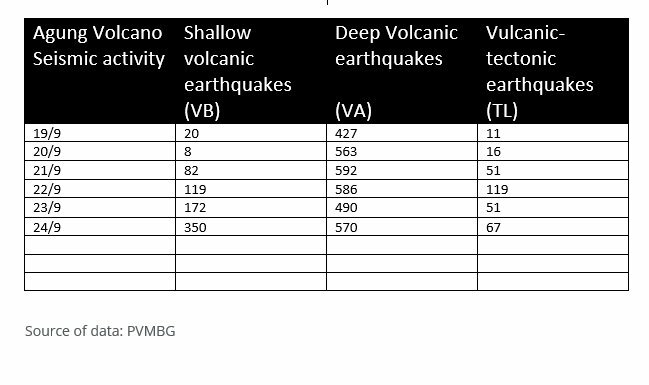 The composition of the magmas leading to these volu-metrically more important eruptions is not more evolved thanin the calmer periods of activity, the only clear exception beingthe 1843 AD eruption.Reported eruptive rates for explosive activity over the last0.1–10 ky at basaltic–andesitic subduction zone volcanoesrange from 0.1–0.7 km3/ky (e.g. Colima: Luhr andCarmichael 1982; Kuju: Kamata and Kobayashi 1997;Lamongan: Carn 2000;Aso:Miyabuchi2009). Apparently,Agung has experienced periods of relatively high magmaeruptive rates in its recent past, alternating with ratescomparable to those seen at other similar volcanoes. The pro-cesses controlling the variable eruptive rates remain unclear. Aregional tectonic influence resulting in partial blockage of theconduit or deeper plumbing systems seems counterintuitive:we would expect to see (i) more evolved compositions in thehigher-activity periods as a result of prolonged magmatic dif-ferentiation during calmer periods (e.g. seen at Merapi,Gertisser and Keller 2003b) and (ii) a similar response ofreduced/increased activity to regional tectonic stress changesin neighbouring volcanoes. In contrast, it seems more likelythat the Late Holocene history of Agung is characterised byperiodic increased magma supply rates from depth, followedby limited crustal residence times, and resulting in frequentintense explosive activity of relatively mafic magmas. A 5000-year record of multiple highly explosive mafic eruptions from Gunung Agung (Bali, Indonesia): implications for eruption frequency and volcanic hazards (PDF Download Available). Available from: https://www.researchgate.net/publication/279225389_A_5000-year_record_of_multiple_highly_explosive_mafic_eruptions_from_Gunung_Agung_Bali_Indonesia_implications_for_eruption_frequency_and_volcanic_hazards [accessed Sep 27, 2017]. I believe back when the original Krakatoa post was made, either this was posted by someone on here or something else was posted that led me to it on youtube. I found it interesting. Also, I’ve tried to find a live cam facing Agung, but so far I’ve only found 3 and they’re all facing the beach & water. I’m surprised with the hotels there isn’t at least 1 facing Agung’s direction. A propos of nothing note that the Indian Monsoon is in fact somewhat deficient. Biggest quake so far at Agung; a 4.3 at 8km depth on the north side of the edifice if my Google translate is working half correctly. Mt. Sinabung has had an eruption today. Not sure of size, but several sources out there with pictures. Seee also volcanodiscovery.